Sometimes it’s not in your hands when you’ll relocate. However, what’s in your hands is how you relocate. Your relocation process can be as messy and tangled as tousled hair of a teenager or it can be a smooth ride, from the very beginning to the finish. It all depends on you. Or let’s put it this way, it depends completely on what sort of choices you make. Taking on the relocation challenge all by yourself may prove to be a recipe for failure. You may fair no better if you hire a mediocre house removals Brisbane team. A slew of such providers can be found, but hiring them can prove to be one big, not to mention even a costly, mistake. A team with an exemplary track record, on the other hand, can help you stay quiet and calm before and during the house move. At Dyno Removalists, we pride ourselves for flawlessly planning and performing house relocations. We don’t want you to take our word for it; go through our past customers’ testimonies and feedback to see what we bring to the table. Along with an awesome house removals Brisbane crew members, who are the pride of our company, we offer you access to some of the most advanced and feature-laden house removals Brisbane trucks. If you want a team that follows all the recommended safety measures, from A to Z, Dyno Removalists house removalists Brisbane troupe is your best friend. And like a true friend, our house removalists Brisbane guys don’t think twice before walking some extra distance to serve you better and complete your house move in a copybook fashion. Would you like some novice team to handle your furniture and other valuables? Of course not, right? With thousands of house removals under our belt, we not only possess the skills but also experience to shift your things in a perfect manner. Many homeowners think a professional house removals Brisbane team is superfluous. Nothing could be farther from the truth. House removals Brisbane professionals who know what they are doing can be the difference between an uncomfortable and badly-executed house relocation and a stress-free move. Dyno Removalists house removals Brisbane crew members, like other top-ranked movers, offer you many advantages. For starters with us you get a tailored house moving solution. This ensures you will have to shell out money only for those services which you really require. As you may guess, thanks to this customized service feature, your house relocation expenditure stays as low as possible. Another advantage of going with an excellent house removalists Brisbane team is that the risk of damage to your furniture and possessions is very low. Our guys will handle your stuff with total care, not only while loading and unloading them but also while packing them. Lastly we use special trucks for shifting your stuff. They come equipped with many excellent safety features to ensure your belongings don’t suffer as much as a faint scratch while they’re being shifted. Are you prepared for a big-budgeted move? Are you fine with spending a lot of money on getting your stuff shifted to the new place? If not, consider Dyno Removalists cheap house movers Brisbane team for your relocation. Why? Because we shift stuff in a flawless and exemplary manner without drilling a hole in your pocket. Both our prices as well as our quality of work will please you. Don’t equate our cheap house movers Brisbane services with those providers who quote impossibly low prices. Those people cut corners while shifting, which in turn can cause more than a bit of trouble, not to mention damage to your precious things. Unlike them, our cheap house movers Brisbane professionals deliver a copybook performance while relocating your things without putting an undue financial burden on you. How are we able to do this? We’ve said this before and will say it again: Years of house relocation experience has allowed our top-ranked house removalists Brisbane guys to streamline our house moving process, which in turn allows us to deliver amazing quality at seriously low prices. Why You May Want To Go With Us? Many homeowners don’t realize but they do have a choice when they shift. They can turn the relocation process into a catastrophe or something as relaxing and easy as a stroll in the park. Want the latter? Then Dyno Removalists house removals Brisbane crew is your best bet. Advanced Trucks – Did you know that even the most talented house removalists Brisbane professionals can’t guarantee safe, smooth house relocation if they don’t have a fleet of newest, most advanced, and differently-sized trucks? Our vehicles have all these qualities and some more. Additional features, like internal railing, ensure things remain completely under control. 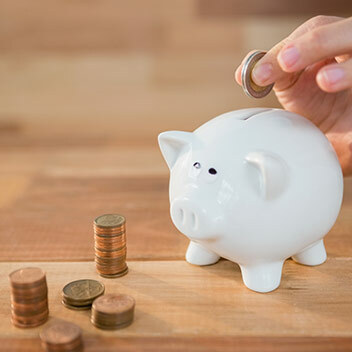 Good Price – Unless big-budgeted relocations is what you wish, you would like the cost-of-relocation to be minimal. Dyno Removalists is all about offering consumers top value for their dollar. Stunning Customer Service – How much time you are prepared to wait to get answers to your queries or solutions for your problems? When time is of the greatest essence, it’s impossible to use house removals Brisbane services that make their customers wait an interminable time before responding to their concerns. Dyno Removalists understand this and value your time above everything. You just can’t offer one customer the house moving plan that worked beautifully well for another. Why? Glad you asked. You see, while on the surface every house shifting appears to identical, all require packing things, loading them and then transporting them to the new place, each is hugely different than another. Surprised? Ok, let’s consider this example: While you are a single person with minimal furniture, your best friend down the street is a family man with 3 kids and a big house filled with furniture and other things, including a piano. Where you could do well with a man with a van service, your friend will require a door-to-door house removalists Brisbane service that includes piano removal. And it’s not just that your relocation requirements differ from another person, your own relocation needs can evolve with time. 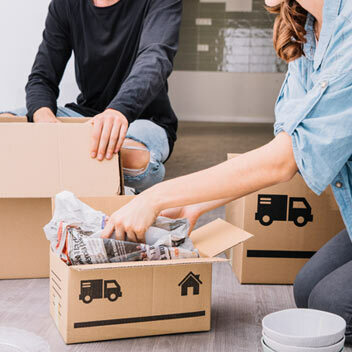 However, whether your shifting needs are exhaustive or minimal, trust Dyno Removalists house movers Brisbane team to hand out the apt relocation solution to you. So, don’t waste a single second anymore on those average house movers Brisbane services. Instead, contact us to know more about how we can make your move simpler and relaxing. Dyno Removalists house removalists Brisbane experts believe in keeping this simple and doing basics correctly. Relocation is not like calculus. You don’t need to make your brain run overtime to get the hang of it. Of course, detailed planning is required to keep disturbances and impediments at bay while executing a relocation solution, but there’s no need to overly complicate things because that only lead to more problems. At Dyno Removalists, house removals Brisbane experts adhere to a simple, basic, to-the-point relocation strategy, which is inclusive of these steps. Query – This initial stage is exactly what it says it is. You contact us and we hand out a free relocation quote. Booking – Our advice to all our potential consumers is: If you like our relocation quote, don’t delay booking your date. Packing – Depending on your family requirements, you can ask Dyno Removalists house removalists Brisbane to complete packing. Delivery – The only thing you may have to lift while all household stuff of yours is being loaded by us is your thumb (to give us a thumbs up!). Yup, we’re that good. Unloading – What you seriously didn’t think we’ll drop all your stuff outside your house? We’ll neatly unload and place your stuff in a convenient location inside the new home before saying goodbye.